In Marxism, the valorisation or valorization of capital is the increase in the value of capital assets through the application of value-forming labour in production. The German original term is "Verwertung" (specifically Kapitalverwertung) but this is difficult to translate, and often wrongly rendered as "realisation of capital", "creation of surplus-value" or "self-expansion of capital" or "increase in value". In German, the general meaning of "Verwertung" is the productive use of a resource, and more specifically the use or application of something (an object, process or activity) so that it makes money, or generates value, with the connotation that the thing validates itself and proves its worth when it results in earnings, a yield. Thus, something is "valorised" if it has yielded its value (which could be use-value or exchange-value). Similarly, Marx's specific concept refers both to the process whereby a capital value is conferred or bestowed on something, and to the increase in the value of a capital asset, within the sphere of production. 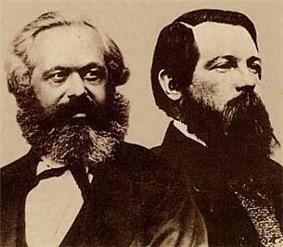 In modern translations of Marx's economic writings, such as the Penguin edition of Capital and the English Marx-Engels Collected Works, the term valorisation (as in French) is preferred because it is recognized that it denotes a highly specific economic concept, i.e., a term with a technical meaning. Note: "Valorisation" is nowadays also a term used in the vocational training community, in academia and in project management. In this sense, it refers to getting the maximum value and usefulness out of education programmes and managed projects, by generalizing what has been learnt from the specialist experiences to other, related fields. In this modern sense of the word, the European Commission defines the term as "a process of exploiting project learning and outcomes (training products and processes, methodology, course materials etc.) with a view to optimising their value and impact in existing and new contexts (target groups, companies, sectors, training institutions and systems etc.). This meaning is unrelated to Marx's concept, other than the reference to making the best use of an activity or getting the best value out of it for all concerned. The modern meaning relates not to capital, but to spreading the benefits of upskilling. The question then arises of how net new value can continuously and spontaneously emerge from trading activity. Marx’s answer is that net additional value can be realized in trading, because that additional value is already created previously in the production process. If a capitalist buys commodities for $100 and sells them for $120 then he has certainly made money, but he hasn't truly created more value than existed before, since the quantity of commodities is still exactly what it was before. To create more value requires extra production. At that point, the concept of valorization is modified. The capitalist production process, Marx argues, is both a labour process creating use-values and a value-creation process through which additional new value is created. However, value creation as such is not what the capitalist aims at. The capitalist wants his capital to increase. This means that the worker must create more value for the capitalist than he receives as wage from the capitalist. The worker must create not only new value but surplus value. A value creation process which goes beyond the point at which the worker has just created the equivalent of the value of his own labour power, and begins to increase the value of capital, is a valorisation process, not just a value creation process. Valorisation thus specifically describes the increase in the value of capital assets through the application of living, value-forming labour in production. The "problem" of valorisation is: how can labour be applied in production so that capital value grows? How can assets be invested productively, so that they gain value rather than lose it? In Theories of Surplus Value, chapter 3 section 6, Marx emphasizes his view that "Capital is productive of value only as a relation, in so far as it is a coercive force on wage-labour, compelling it to perform surplus-labour, or spurring on the productive power of labour to produce relative surplus-value." When a worker is put to work on a commercial basis, he initially produces a value equal to what it costs to hire him. But once this value has been created, and the work continues, he begins to valorise capital, i.e. increase its value. Thus, normally a worker works part of the day "for himself" in the sense of producing the equivalent of his wage, and part of the day for the employer of his labour. On average, statistical information suggests the ratio is about 50/50, but it can be more or less. The "fetish" of capital reaches its culmination when it appears that capital grows of its own accord without anybody doing anything. In that case, people are no longer able to perceive or comprehend the connection between human activity which forms new value, and the increase in the value of their assets (see also commodity fetishism and fictitious capital). If Verwertungsprozess is translated as "self-expansion of capital", this actually conveys the exact opposite of what Marx intends: after all, the expansion of capital is not automatic, it requires human work to expand it. As soon as labour is withdrawn, capital not only stops expanding, but may also lose some or all of its value. By contrast, in management theory, analysts are extremely aware of value adding activities occurring when factors of production are withdrawn from the market in order to produce new outputs with them. That is because they aim to maximize productivity, i.e. get as much work and product out of the workers as efficiently as possible. Yet, because perceptions of value growth are based on the relationship between input costs and sales revenue, revealed by accounts, the central role of living labour in conserving, transferring and creating value is still obscured. The official story is that the factors of production all add value to the new output. In a sense this is true, since living labour conserves and transfers value from materials and equipment to the new product; and capitalist production could not occur if capitalists did not supply capital in return for profit. But without the active human subject, no new value is created at all, and capital assets lose value. This becomes apparent when workers go on strike. The opposite process is devalorisation ("Entwertung") which refers to the process whereby production capital invested loses part or all of its value, because the labour maintaining the value of capital is withdrawn, or because output cannot be sold, or sold at the intended price, or because more modern production techniques devalue older equipment. Over time capitalist assertion of valorisation can be seen to always depreciate over extended periods of time. Marx describes the effect as “tendency for the profit rate to fall”. Revitalised by the likes of Kliman (2010, cited in Giacché 2011) and Perri (2010, cited in Giacché 2011), whom in compliance with Marx’s theory believe that although valorisation is the driving force of capitalisation, it also contributes to an impending downfall. However, due to excessive supply requirements and ever increasing demand from the global markets, industrial collapses tend to operate in favour for the emergence of new independent capitals. Typically what happens in a severe economic crisis is that the real cost structure of production is realigned with market prices. In Marx's terms, productivity growth has changed product-values in different sectors, but it is only after quite some time that prices adjust to changed underlying values. In that case, devalorisation may occur quite rapidly: capital assets are suddenly worth less, and as soon as capital assets are no longer utilised and maintained by living human labour (because of unemployment), the value of those capital assets begins to deteriorate. In the end, the total withdrawal of human labour leaves nothing but a ghost town. Devalorisation is not the same as devaluation of capital, because the term "devalorisation" applies specifically only to assets which function as production capital, whereas "devaluation" of capital could refer to the loss in value of any capital asset in any particular form. Devalorization means specifically that means of production lose value because the living labour required to maintain them is withdrawn. Valorisation of capital is for Marx not at all the same as the "realisation of capital". Value may be added in the production process, but this additional value may not be realised as an additional sum of money, unless the outputs are sold at a favourable price. At an unfavourable price, output is sold without increasing capital assets. So, the new value added in production may be lost to the producer or owner, when the new product is traded. The capital is "valorized" because a new output value has been created, but the value-increase is not (fully) realized by its owner. In reality, Marx argues, the valorisation of capital in one enterprise is dependent on the valorisation of many related enterprises, since they all influence each other with respect to costs, values and prices. When all is said, the preservation and increase of capital value is a purely social phenomenon. In Capital Vol. 3 (Penguin ed., p. 136) Marx defines the rate of valorisation as S/C where "S" is the surplus value produced and "C" is the total capital invested to produce it. This is strictly a value ratio, a relationship between value proportions, not to be confused with the rate of profit on capital invested, since the amount of surplus value yielded by a capital investment, corresponding to a certain quantity of labour-time expended in production, typically diverges from that part of the surplus value which is realized as profit, since at any time products are likely to be traded above or below their value, rather than at prices which exactly reflect their value (Marx often assumes for the purpose of his analysis that the total mass of profit and the total surplus-value are the same magnitude, although in reality they can vary from each other, due to continual changes in labour productivity across time, imperfect pricing, and imperfect competition). ^ Marx, ‘’Capital Volume I’’, Penguin, p. 251-252. ^ Emmanuel Farjoun & Moshe Machover, The Laws of Chaos. London: Verso, 1983, p. 192. Law of the Accumulation and Breakdown, Henryk Grossman (1929) Ch. 2 Explains relation of valorisation to Capital Crises.